Dr. Andreas Andreadis, CEO of Sani Resort, is the son of one of the two men who bought Sani’s lands in the 1960’s. He was the President of SETE, the institutional partner of the Greek government in the Tourism sector, representing over 50.000 enterprises and over 350.000 employees. It was the dream of two men over 40 years ago, and today ownership remains within their families. Another property planned in the next few years, always with a stronger than ever commitment to protect this amazing natural reserve. In the late 60’s two visionary men believed in the high potential of Sani’s land, who used to belong to monks from Mount Athos. 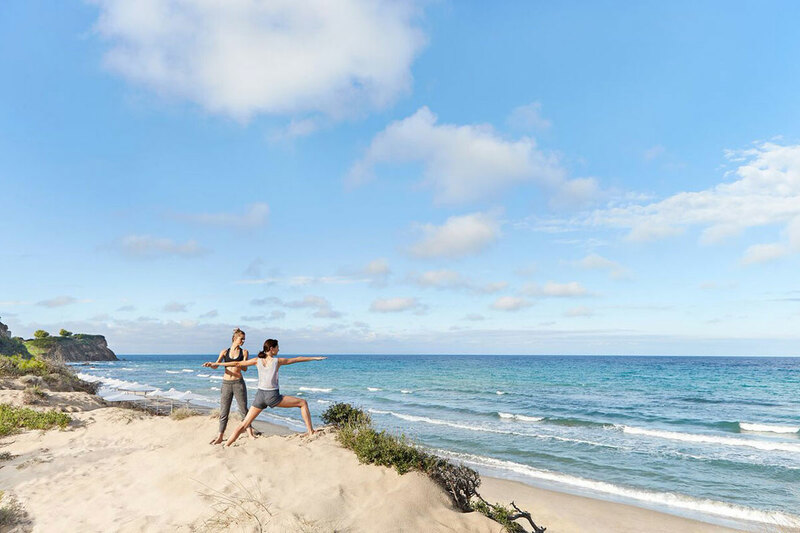 They fell in love with the kilometers of immaculate white sandy beaches, the shallow and clear waters of the Aegean Sea, the luxuriant nature and the bird sanctuary. 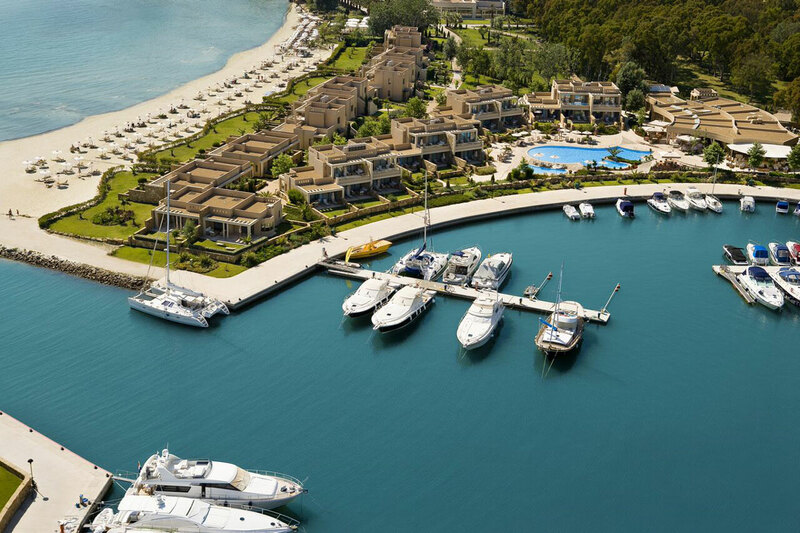 Sani Resort was repeatedly voted and rewarded as one of the best family luxury resorts in Europe and in the World. 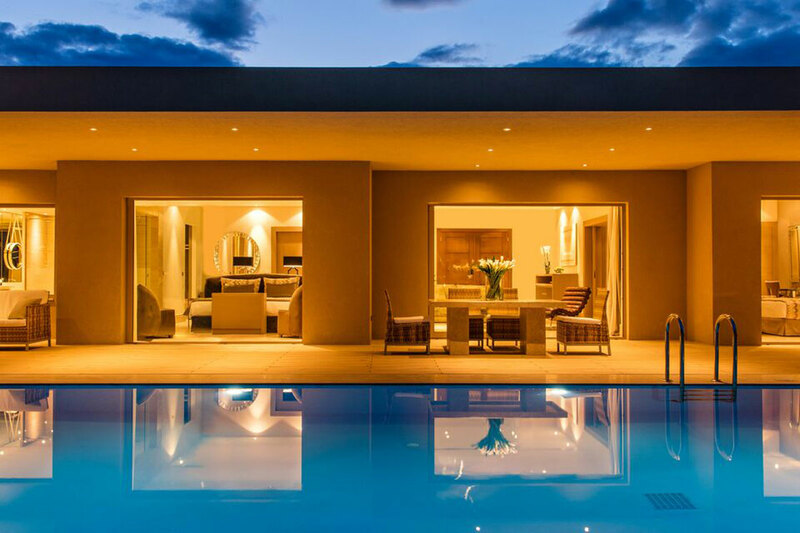 2016: addition of 8 new suites, including 5 Deluxe Three Bedroom Suites of 180 sqm with private pool. Addition of a new adults-only gourmet restaurant Over Water, with a menu signed by French Michelin-star Chef Jacques Chibois. Addition of a spa with two treatment rooms (one single and one couple room) both with private hamam. 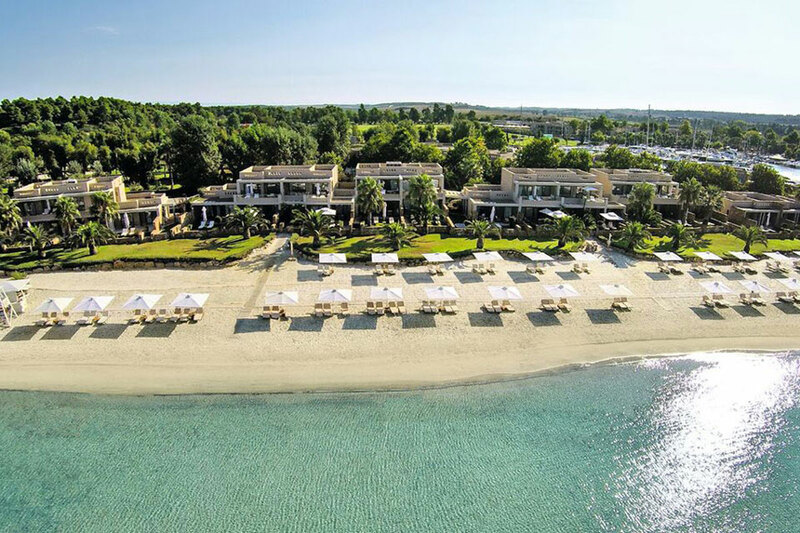 -The exclusive beach with its soft white sand just outside your door (beachfront suites have direct access to the beach from private garden) and the heated outdoor pool that looks over the cosmopolitan and private Sani marina promise unforgettable moments of pleasure and relaxation. -Water Restaurant has been awarded every year in Athens since its opening with a Golden Hat as one of Greece’s best restaurants. Located within the hotel, it offers to its visitors a fascinating gastronomic experience, signed by French Michelin-star Chef Jacques Chibois. The Overwater located right above and overlooking the Sani marina offers a peaceful setting reserved to adults. 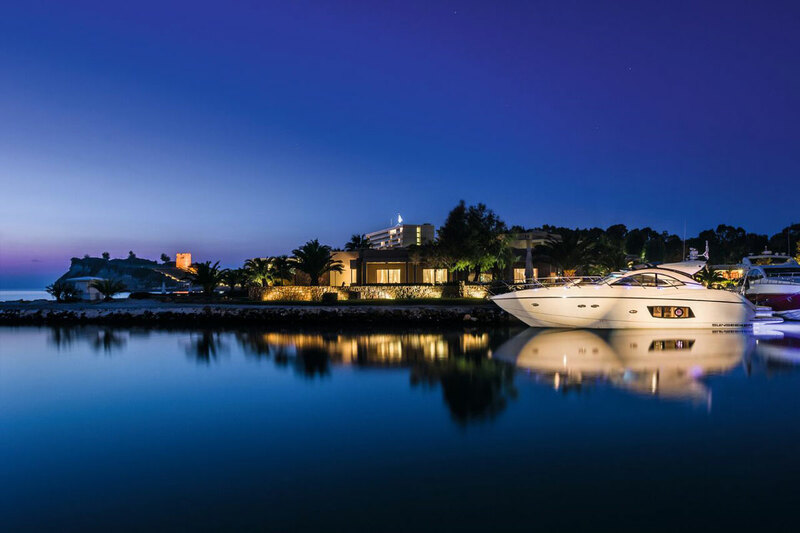 -With its own private Marina, Sani Resort offers the ability to the guests to arrive at the hotel with their own boat /yacht, or either rent one during their stay for private excursions. Guests can also land at Sani Resort by helicopter. -Guests of Sani Asterias have the luxury to enjoy both a very private, exclusive and peaceful experience within the hotel and benefit as well from the wide variety of high-quality restaurants and activities offered by Sani Resort. 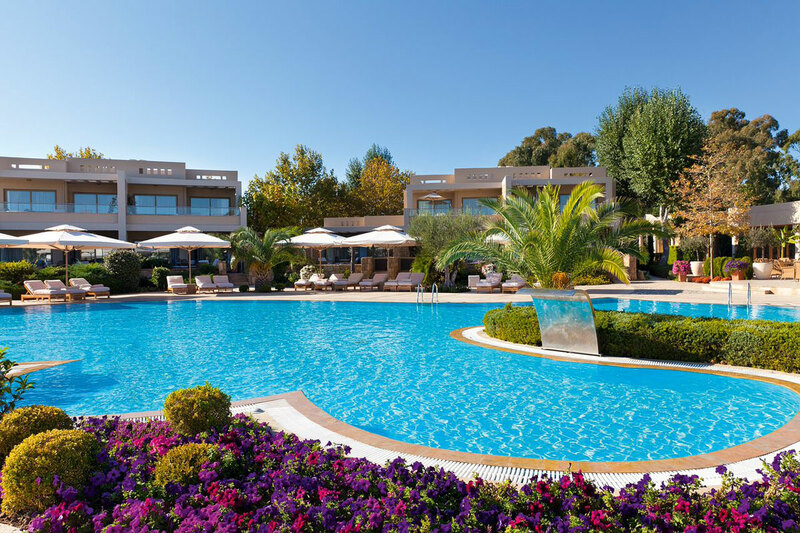 Sani Asterias is located in the Northern part of Continental Greece, 70km from Thessaloniki’s international airport (50min), on the magnificent Kassandra Peninsula, overlooking Mount Olympus. -In Water restaurant, you can drink the oldest wine in Greece from 1944, which was bottled only in 2000. Sani Resort truly is a magic place; our spacious land allows us to please all tastes and ages under one roof. Sani Explorers Program: Sani kids Eco provides the opportunity to children to participate at activities/games that involve the exploration of the nature, observation and narration. Do your kids need to brush up on their football skills? Want to learn how to sail? Passionate about dancing? Children age is up to 11.99 y/o. We also provide all comfort to the adults looking for peaceful moments: adults-only (12+) restaurants and quiet areas within other restaurants. 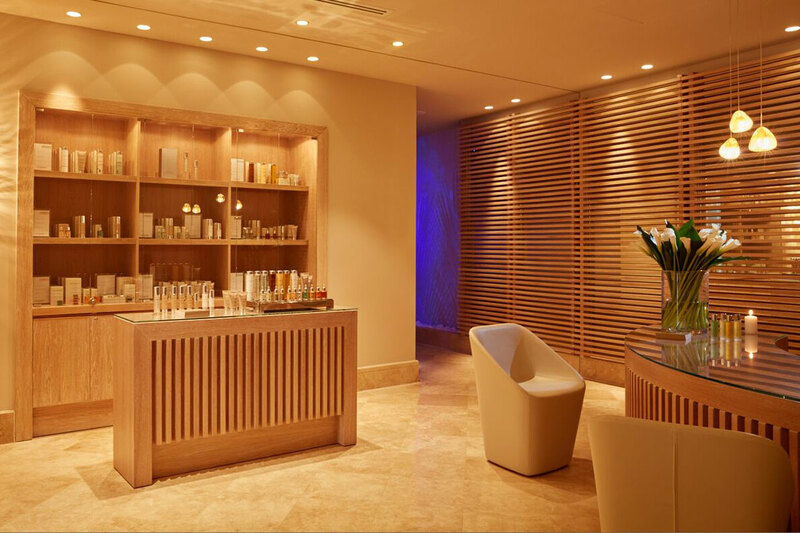 Adults can also enjoy treatments-in- suite at Sani Asterias. 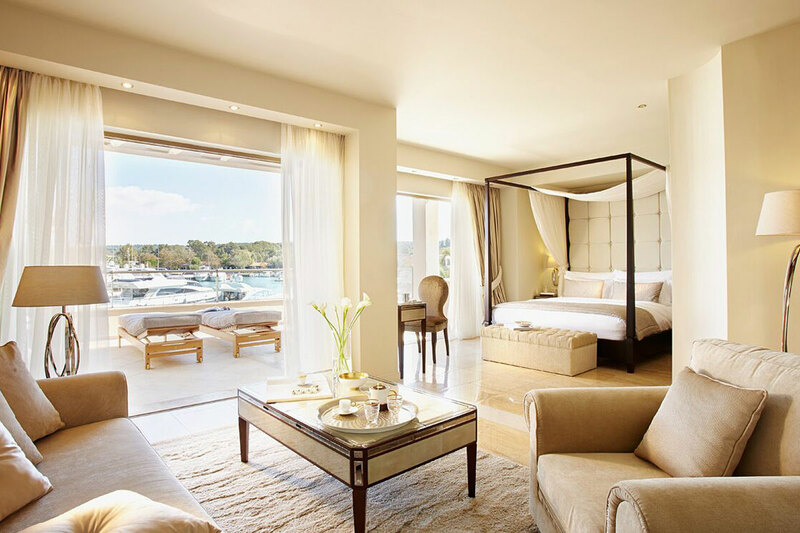 -16 Junior suites located upper floor, that offer the highest levels of luxury throughout and views overlooking Sani Marina or the Aegean sea. 50sqm. Up to 2 adults. -14 ground floor Suites Marina front, with separate living room and their own private garden, offering magnificent views of the Sani Marina. 60sqm indoor Max: 3 adults+1 child or 2 adults+2 children up to 12 years old. 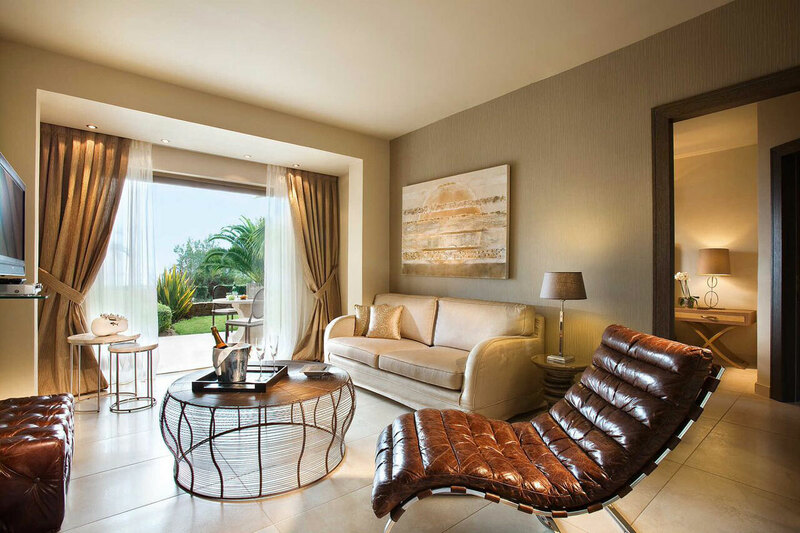 -11 ground floor Suites Beachfront with separate living room, their own private garden and direct access to the private beach of Sani Asterias, offering magnificent views of the Aegean sea. 60sqm indoor Max: 3 adults+1 child or 2 adults+2 children up to 12 years old. -4 spacious Deluxe Two bedroom family suites Marina front, 2 bedrooms, 2 bathrooms, living room that offer a magnificent view of the Marina. 100 sqm. Max 5 people: max 2 adult+3 children (up to the age of 12) or 4 adults + 1 child. -2 Two-Bedroom family Suites Beach front, 2 bedrooms, 2 bathrooms, living room and direct access to the Sani Asterias beach. 85 sqm indoor. Max 5 people: 2 adults+3 children (up until 12 years old) or 4 adults + 1 child. -1 Deluxe family suite beach front on the upper floor with spectacular views of the Aegean. A sitting room with a dining corner, 2 bedrooms and 2 bathrooms. 105 sqm indoor. Max 4 people: 2 adults +2 children (until 12 years old) or 3 adults + 1 child. Guests of Sani Asterias staying in half-board can enjoy an extensive variety of refined restaurants through Sani Resort’s Dine Around program, in 22 restaurants of the resort. Excellent fresh food perfectly prepared and served awaits for Sani Resort guests, ranging from Italian cuisine to French gourmet, Asian delicacies, typical Greek tavern and Greek fusion restaurants. Three options are offered depending on the restaurants: buffet, Set Menu (no extra charge besides drinks), A la Carte with a Credit deduction of 40 € /adult and 20 € /child. Reservation is required for all dinners, guests can pre-book up to 3 dinners prior to their arrival. 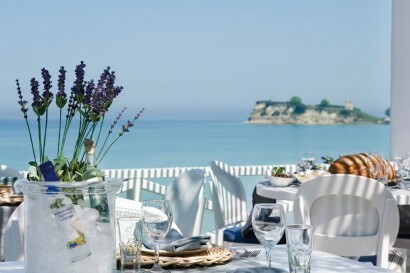 -Water restaurant, awarded every year since its opening with a Golden Hat, as one of Greece’s best restaurants. 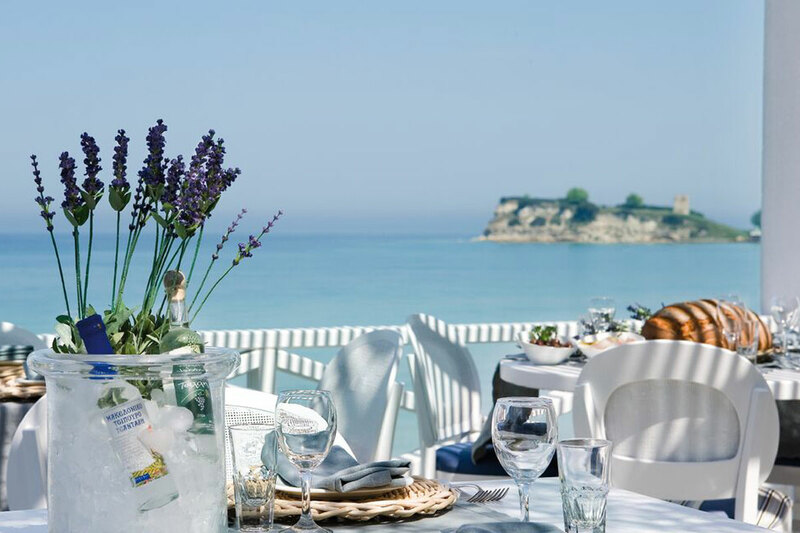 – The Overwater located right above and overlooking the Sani marina offers a peaceful setting reserved to adults with extra adult touches added to the menu and live piano music. 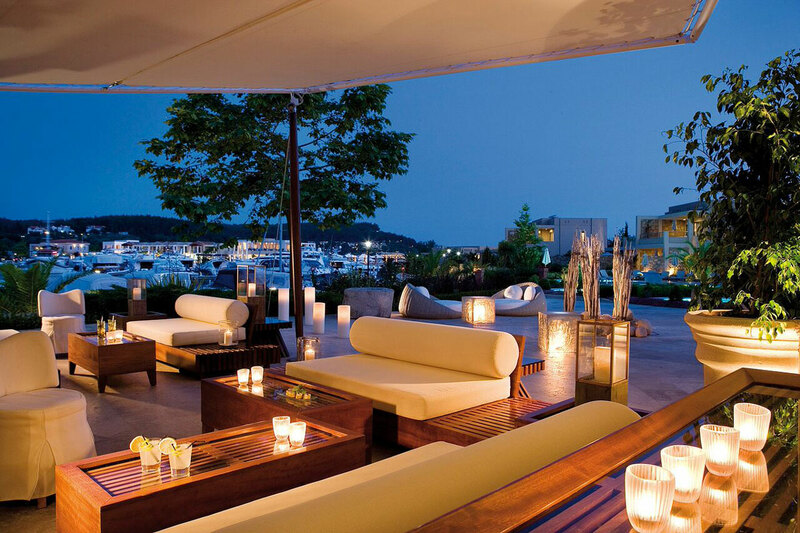 All treatments start with a foot bath and include a private hamam session, lavishly ending with a glass of Champagne. Two cabins available, one for couple and one single. Guests can also enjoy the facilities of sister spa, Spa Suite at Porto Sani, including a sauna and an indoor heated pool with Jacuzzi. Guests can also enjoy all treatments in-suite. Added values for Honeymooners: room upgrade upon availability, sparkling wine, flowers in the room. Sani Gourmet, the Rising Stars, 13th edition mid-May 2018. Sani guests will taste gourmet menus prepared by Michelin star chefs who have recently received their first star, from across Europe during 5 days. Sani Eco Days (July-August) is a weekly pop-up event dedicated to nature, Halkidiki’s local products and the Sani Wetlands, an afternoon full of interactive and fun eco-activities at Sani Marina for kids (such as traditional pasta making and weaving workshops, making natural clay lifesize creations or birdmasks), teens, families and adults. Morning runs & weekly Sani Running Challenge. Running sessions every morning from Monday to Saturday with a coach in the forest of Sani Resort, the best 3 runners of the week are rewarded!